Schwinn Women High Timber Review: Is The Bike Comfortable? Home » MTB Reviews » Schwinn Women High Timber Review: Is The Bike Comfortable? Whenever I’m asked, I find it tough to select a mountain bike that provides value for my money, as well as perfect geometry that complements women’s shape. 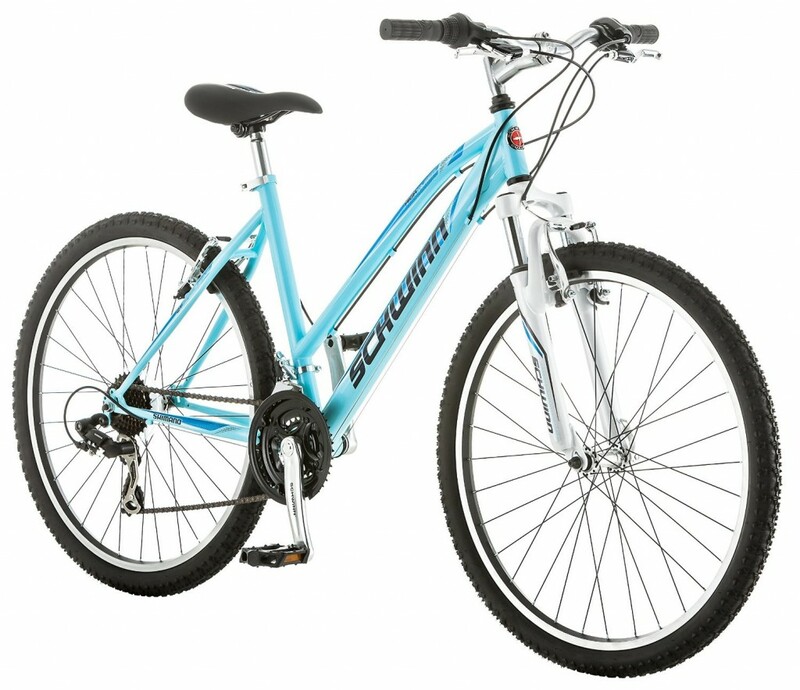 That is until I came across the 26-inch Schwinn High Timber women’s mountain bike, which delivers on its promise of agility, resilience, stability, and reliability. I have taken this bike over diverse terrain, and it has stood up to everything that has come its way. The responsive handling, smooth shifting, large tires and quality brakes on this bike are certainly built to the fantastic standards that Schwinn upholds. That is why below I am going to give you a comprehensive schwinn women high timber review. In order to enlighten you on the qualities of the High Timber, I am going to go through the top features of which it is made of. Schwinn is known for its unrivaled construction, and it is therefore no surprise that the High Timber has been carefully crafted to give you a controlled and stable ride. Firstly, we have the steel mountain frame and a shock-absorbing SR Suntour suspension fork, which work seamlessly to give you smooth command over your ride. Additionally, the women’s High Timber has 26 inch all-terrain wheels, which can travel over wet, rough and muddy conditions without any trouble. When it comes to the gearing of the High Timber, you will benefit from SRAM grips shifters, a 21-speed Shimano rear derailleur, and a Schwinn alloy crank. These components allow for quick and smooth gear changes, as well as a range of gearing options that allow you to travel at whatever sped you want. The Schwinn is also prized for its alloy linear pull brakes and its alloy rims, which are lightweight and durable in nature. The brakes in particular guarantee swift stopping in all weather conditions, while the rims improve the overall handling of the bike. All in all, the affordable Schwinn High Timber is a superior quality mountain bike, which is equally beautiful and functional. 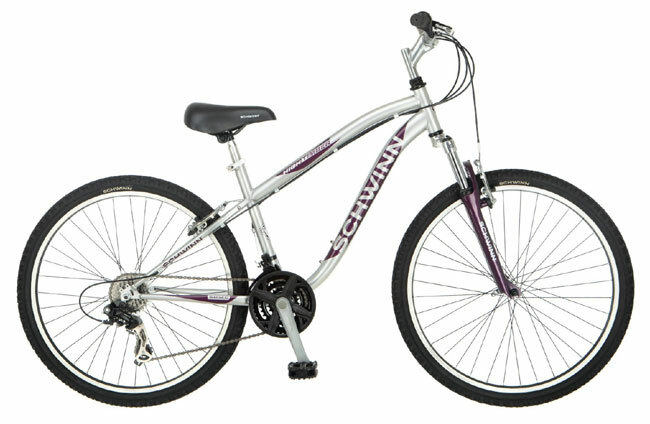 This 4.3 star rated women’s bike embodies everything that Schwinn stands for, mainly reliability, solid construction and versatility. If you are looking for a casual entry-level mountain bike for yourself or any women in your life, this is it! Summary : Despite the hard seat (which can easily be replaced), the High Timber is a worthwhile investment which will serve you well both on and off the road. Previous: Mongoose Detour Review: Does It Worth?